Only ONE Registered Keeper from New, Fully Serviced, Fully PDI Checked, 4 Stamp FULL Service History, Next MOT Not Due Till January 2020 & Done Only 47,000 Miles. A Typical Range Rover Spec List is Huge. This Car Has Upgraded Black 22 inch Alloy Wheels, Built in Touch Screen SAT NAV, Bluetooth DAB Stereo with Audio Streaming & A Massive Host of Advanced Technical Spec Such As Winter Wiper Modes, Flashlight Display, Take Me Home Feature, Valet Mode, 3x Reverse Camera Views, Heated Sports LEATHER Seats & A Massive Host of Endless Features That Truly Make These Cars so Exceptional. Viewing is Highly Recommended, Take Advantage of Our Current LOW Rate Offers. For those with a taste for adventure, Land Rover is a marque that has plenty to offer. From the go-anywhere, do-anything nature of the Defender to the luxurious and sophisticated style of the Range Rover, these are cars built to perform. 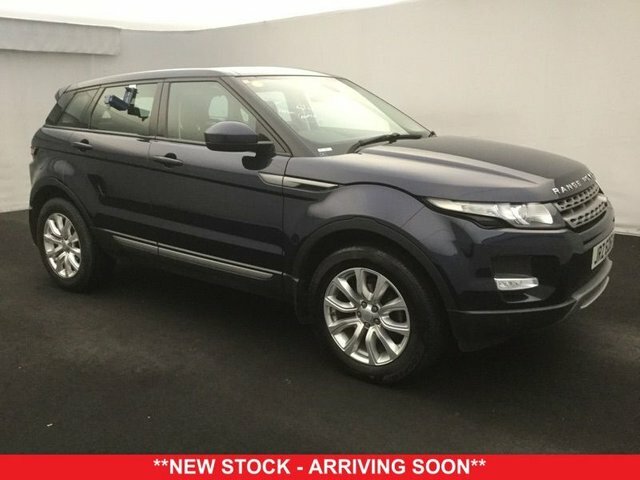 Here at Solo NW Limited you'll find an impressive selection of used Land Rover cars for sale in Liverpool to choose from, with options to suit a variety of budgets. Take the opportunity to browse our latest stock here on the website and be sure to contact a member of the team with any questions. Arranging a test drive is easy, and we'll go the extra mile to help you find the right pre-owned Land Rover to suit your needs.